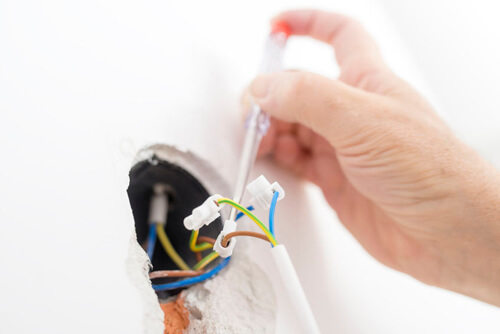 Our electricians in Tunbridge Wells know there two distinct elements that should come to mind when you think about the electrical wiring in your home or business. These elements are safety and efficiency. Not only should you feel safe when you use electricity, but no energy should be going to waste due to faulty or sub-par workmanship. It’s important to note that our technicians are trained professionals who know everything about what they do. So, if anybody can help you with your electrical installation or repair needs, our electricians are the best in Tunbridge Wells. Faulty wiring can cause a fire or fatally shock someone, hence the reason for always hiring the best electricians in Tunbridge Wells. You need to be sure the people who do the repairs or installation go through the necessary steps of isolating wires for safety and strategically placing them where no damage can be done. When you call us, expect nothing but the highest-quality workmanship a Tunbridge Wells electrician can offer. Thanks to our experience and training, we can always guarantee client satisfaction.